Coming from previous roles within hotel management at various locations within the North West with Whitbread Hotels & Restaurants, Zach’s wealth of experience and knowledge perfectly lends him to this historical property. The 25 years on his resume reflect an enduring passion for the hospitality industry, whilst his enthusiasm is unwavering. Just outside Chester city centre, Crabwall Manor Hotel & Spa has recently undergone a refurbishment to its fantastic leisure and spa facilities. 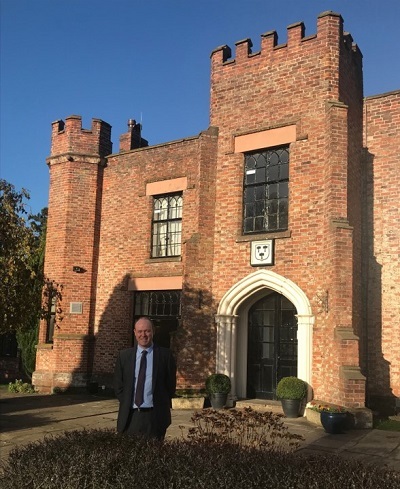 Other recent additions include, seven new bedrooms within the manor house, a brand new outdoor licensed wedding space and continued developments to the hotel’s restaurant offering; Zach has proven adept at tackling the ongoing improvements at the hotel, strengthening its appeal. The four-star Crabwall Manor Hotel & Spa in Chester comprises 55 elegant bedrooms and suites, the Earl of Chester restaurant, and a locally renowned spa. Set in over 10 acres of landscaped grounds, the Grade II listed property plays host to around 80 weddings a year across five stylish function rooms.